I can say with a high degree of certainty that summer is here with a vengeance, all that stuff about global warming yeah well I am starting to take it seriously now!! As Canadians we often spend the winter months dreaming of the long gone days of summer, basking in the sun’s rays playing outside and getting a little more active. Spring always seems to tease us with a taste of summer and the dance with winter’s fight to hang on just a little longer. Once Canada Day hits there’s usually no question, summer is officially here. 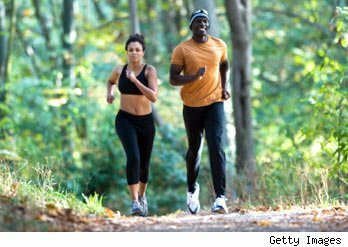 Like bears coming out of hibernation Canadians around the country are eager to get out and enjoy the weather, get into their outdoor exercise routine, and drop those extra pounds. Staying hydrated while exercising is always important to prevent fatigue, maintain or improve performance, and make the most of your workouts however, the importance of hydration in hot humid weather is even more crucial. When the body engages in physical activity heat is generated internally, this is how we burn calories, and in order to maintain the body’s delicate internal balance it has to rid itself of this extra heat which is why we sweat. Sweat has two main purposes, it allows the body to detoxify through the skin and it is the body’s automatic air conditioning system. The amount we sweat depends on a number of factors, a few of which include the intensity of exercise, how hydrated the body is, and the key one here is the temperature of the surroundings. The hotter and more humid the outdoor conditions the more we need to sweat to cool ourselves down. If our internal air conditioner is working over time and we are not replenishing fluids to keep it going dehydration is a consequence which can have mild to very serious side effects. The average person loses 1L of sweat for every hour of exercise, and that is in regular conditions, so the message here is replenish, replenish, replenish! Now that we understand why we need to hydrate let’s discuss the most effective ways to prevent dehydration and ensure our bodies are equipped to enjoy the hazy days of summer. Of course the best way to keep the body hydrated is to make sure you are drinking throughout the day. The most effective way to do this is to drink pure, clean water as your main source of fluids. When planning exercise outdoors or spending extended periods of time in the heat be sure to consume 1/2-1 L of extra fluid beforehand to compensate. While exercising also make sure to drink fluids, preferably a natural electrolyte or sport water drink, at regular intervals. When we sweat the body also loses electrolytes, mineral salts dissolved in body fluids that regulate fluid balance, therefore it is important to replace these as well. After exercise or extended periods in humid weather replenish fluids throughout the rest of the day at regular intervals to maintain hydration status for future activity. Here are some of my favorite ways to hydrate the body naturally, tasty ways to beat the heat and keep your body at peak performance. When buying bottled ‘nutrient waters’ avoid at all costs drinks which are filled with refined sugars, artificial colors (water should never be fluorescent blue or green yikes!! ), artificial flavors and sweeteners. Opt for the natural choices below. 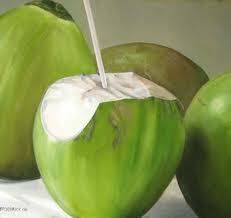 Coconut Water – contains naturally occuring electrolytes, and its delicious too! Look for unsweetened organic varieties, the only ingredient should be coconut water. GP8 Water – naturally purified water that contains 3-4 times the oxygen of regular water, this allows the body to maintain hydration status. Vega Rehydrator – a natural, alkaline-forming drink mix, free from sugar and artificial sweeteners, formulated with all the essential electrolytes the body needs to stay hydrated during workouts. Or try making your own! At Fuel we encourage getting a little more active and soaking up some vitamin D when the sun is shining, just remember to always use common sense when exercising in hot humid weather. 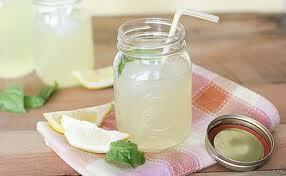 If the humidex rating is above 35 avoid strenuous activity, save these days for sipping your lemonade pool side. Know the signs of dehydration which include nausea and fatigue in mild cases, vomiting and cessation of sweating in severe cases, this is very serious and requires immediate medical attention. 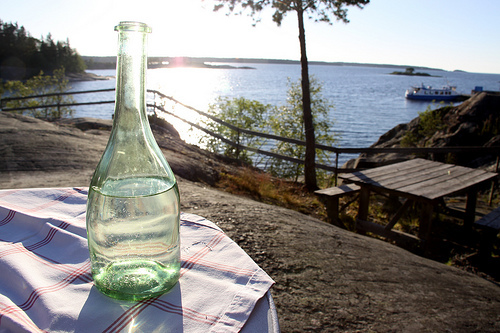 Know your limits, hydrate your body, and enjoy these long awaited days of summer.